First-of-its-kind service in the world. Instead of sharing your various social network accounts one by one, you can simply use your LinkConnects account in order to list all of your accounts in a simple and unique way. 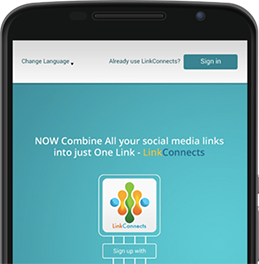 LinkConnects is characteristically easy to use. We offer five account types, including governmental accounts, commercial accounts, App accounts, Candidate Accounts, Candidate Accounts and individual accounts. This is in order to facilitate matters and to provide each account with its distinctive features and needs. You can search accounts using the search feature easily. Website users can hide their accounts from search results through the settings. LinkConnects FZE is licensed by the Dubai Technology Entrepreneurship Centre, Dubai Silicon Oasis, Dubai, UAE. 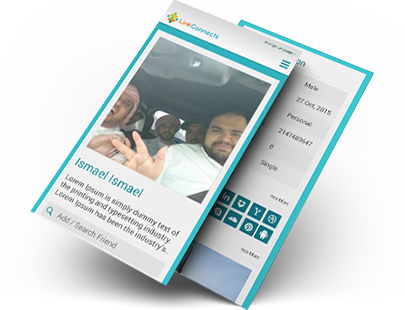 The website is founded by Ahmed Al Zarouni.